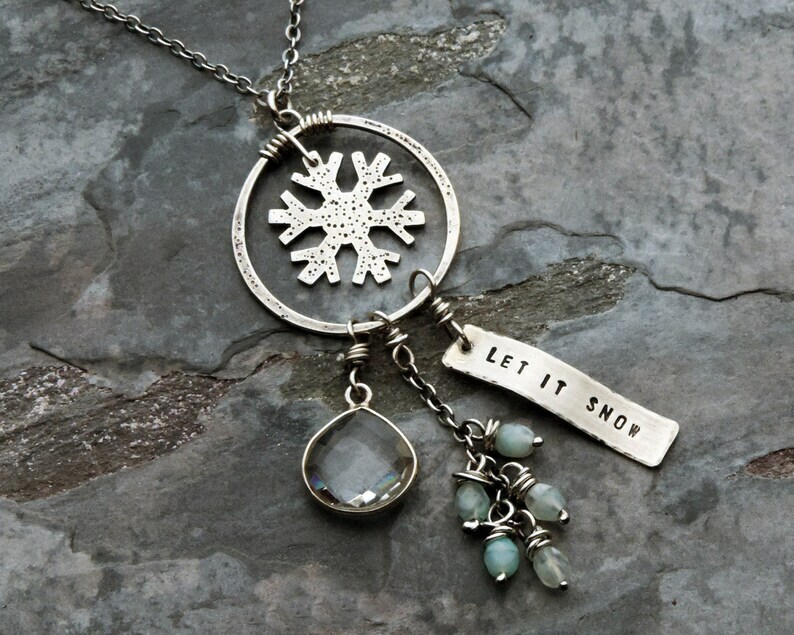 Those who love a winter wonderland will adore this unique necklace with its handcrafted snowflake charm tucked into the center of an organic textured circle. Picture delicate snowflakes kissing your face as you stroll along humming "let it snow" as reflected in the wavy rectangle tag suspended from the ring. A shimmering sterling silver bezel wrapped clear quartz and five tiny Czech glass beads in shades of winter white and sky blue dangle alongside the tag.